It doesn’t get more stressful than hurtling through the air at 575 mph, 35,000 above the surface of the planet, in a hollow metal tube filled with human cargo. 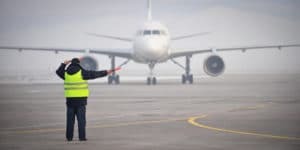 Whether you’re at the controls of a commercial airliner, tending to passenger needs as part of the flight crew or on the ground ensuring that the engines are mechanically sound and the customers pass all of the customary safety inspections, you’re under pressure every day. Combine that with time zone changes, jet lag, mandatory overtime and disrupted sleep patterns, and the desire to take the edge off is a natural human response. What happens, however, when a chemical panacea becomes something more? What happens when a drink or two to ease stress becomes three, or five? What happens when they become a requirement to start the day? Or when they lead to other substances that impair judgment, vision, thinking and motor control? Social and financial consequences are one thing, but in the aviation industry, they come with a far greater cost: ruined reputations, lost careers and lives that are jeopardized. 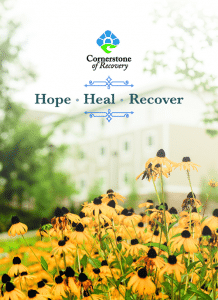 At Cornerstone of Recovery, there’s a unique program for addicts and alcoholics in the aviation industry designed to help patients recover from their addiction, and to recover their careers. For more than a decade, Cornerstone has been one of the few drug and alcohol treatment centers in the nation that offers a program specifically for pilots, flight attendants air traffic controllers, mechanics and ground security coordinators, because the safety-sensitive nature of those jobs requires so much more than just rehabilitation. It requires earning the trust all over again — of your employers, of your industry and of yourself. Our Aviation Program was conceived and is managed by former airline employees with more than 40 years of industry experience who know intimately the rigors of the job and the pressures that come with it; the expectations that you place upon yourself are second only to those put on you by federal and industry safety boards, and it can be a painstaking process to get the clearance you need to get back in the air or beneath the wing. That’s where our staff members come in: Their job is to not only help you overcome your addiction, but to help move the process forward to get you back where you belong. Our Aviation Program team is dedicated to your success, and they’re familiar with FAA regulations, have extensive knowledge of specific policies of the various airlines and are deeply connected to a broad network of airline unions and employee assistance programs. Throughout the duration of this customized program — which may be from 30 to 90 days — they work closely with clients not just on combating the addiction and alcoholism but on implementing a lifelong program of recovery that can give those who return to the skies the confidence and serenity they need to face whatever turbulence — physical, financial and emotional — that may be on the horizon. Allan Hutchison (LADAC) is an Aviation Program Coordinator. Allan has been working in the Aviation Program since 2014, and he directly oversees and participates in all aspects of treatment for Aviation Program participants in the Newcomers Program, Intensive Outpatient and Aviation Continuous Care. Allan keeps referral sources up to date on the progress of their referrals, ensures all paperwork is filed properly, schedules and participates in discharge calls, coordinates referral source visits and addresses other needs related to Aviation patients. Ann “Nan” Lavecchia (BA, CPRS, LADAC II, NCAC I) also serves as an Aviation Program Coordinator. Nan has been part of the Cornerstone family for nearly a decade and has been working with the Aviation Program patients much of that time. Nan keeps referral sources up to date on the progress of patients, ensures all paperwork is filed properly, schedules and participates in discharge calls, coordinates referral source visits, and addresses Aviation Program patient needs as they arise. Tom Humberd (LPC), Hannah Cole (LPC), Scott Hendrix (LMSW) and Rachel Brown (LMSW) are the therapists who work with Aviation Program patients. Sally Lukas (LAP-C, NCAC 1, Q-SAP) was the official founder of Cornerstone’s Aviation Program in 2007. Sally retired as Program Director at the end of 2016 but still serves as a Consultant to the Aviation Program team by providing guidance, historical context, chart reviews/audits and marketing support.